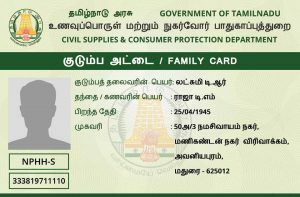 Eligibility Criteria For Ration Card – In order to apply for BPL, APL, AAY or other type of cards you need to know the whether your application is eligible for it or not. The Central Government provides subsidized food products such as Rice, Kerosene, Sugar, Edible Oil etc used to procure many essential documents like Driving License, Aadhaar Card and Passport. For Indian citizens, the Ration card is always a boon for the families or the households as it allows them to get access to heavily subsidized food products through the Central government’s Public Distribution System. Before applying for any BPL Citizen must make sure that his/her name is not listed in the family members list of the other Ration cards – In case if it already listed read this article about the removal of name procedure. This card is issued to families living Below the Poverty Line (BPL). These cards can be Green, Blue or Yellow in colour. The Total Annual Income should be less than Rs.6400/- (in rural areas). Or the Annual Income should be less than Rs.11,850/- (in Urban Areas). This card is issued to the families or the Households who don’t have any access to any LPG or Gas connection because it will enable them to get subsidized Kerosene in addition to the Food Products. The Citizen either a Male or a Female must make sure that he/she is a Permanent Resident of India and have to be living in any state of India. This Card is issued to the families who are living Above Poverty Line (APL). In Rural Areas, these cards are Orange in colour while in urban areas they give Pink Colour. These are issued to the People who are not interested in the Subsidized Food Products but need Ration cards as an Identity proof Document or as an Address Proof Document. People who are issued these are supposed to be the middle/rich people who earn a lot through their respective occupations. And these people won’t get any of the Food Products from a Fair Price Ration Shop. This type of Ration Card is issued to the People who don’t have a Stable or any regular source of income. People like Workers, Labourers, Elder people, unemployed and also physically Handicapped. We also cover the complete information about AAY Here. 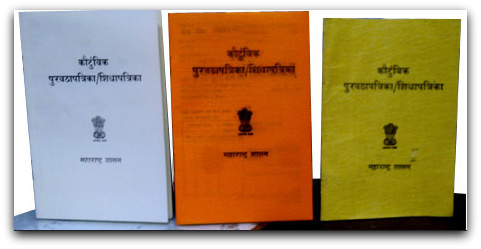 To provide to all the classes of the people in India, the government has provided different types of Ration Cards. Even though these are colour coded those colours may vary from state to state. Before a citizen to get a Ration card, there are some of the eligibility criteria which should be applicable to that particular Citizen. Other than the points listed above, any Member who is holding or listed in another card must surrender their present Ration card and have to apply for a new one. Other your Application form will get rejected always. A deletion certificate has to be procured to update the record if any family member moves out. Similarly, in the case of addition of new family members (childbirth, marriage, adoption), an Addition certificate can be procured by submitting documents such as the birth certificate. In both cases, the new card will be provided on the same day.